Boxing will take center stage at the Lawrence County Fair this upcoming Wednesday, August 16 as USA Boxing sanctioned amateur fights will be held at the grandstand starting at 7:00 PM. This event, being billed as Fairground Throwdown 2, is being put on by Nowhere to Run Promotions and the Foundation and Youth Center. Admission for the event is the $10 entrance fee for the fair which includes free parking. The mission for this event by the promoters is to build a fan base and bring boxing to the community while providing an entertaining evening where the youth can display their hard work and talents. 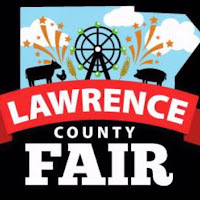 The Lawrence County Fairgrounds is located at 464 Midway Road in New Castle, Pennsylvania.